We at Corbridge Orthodontics strive to be your premier choice when you’re looking for an orthodontist in or around Prosper, Little Elm, or Frisco, TX. It’s our goal to give you a straighter and healthier smile and we’re capable of doing so with our variety of effective treatments in the field of orthodontics, including our braces and Invisalign treatments. Not only will our orthodontic treatments align your teeth, but we can also provide you with orthodontic appliances that can improve your jaw function. One of these appliances are available in our Frisco, TX office is known as the Herbst appliance. What Is a Herbst Appliance? 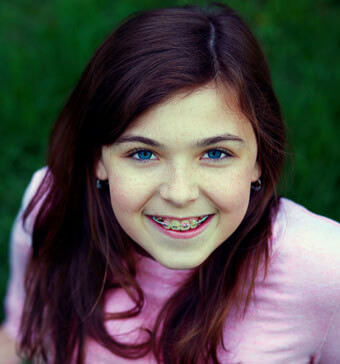 If your child has an overbite, braces by themselves won’t correct the problem. An additional appliance, such as the Herbst appliance, will need to be used in conjunction with the braces to help the lower jaw develop in a forward direction. The Herbst appliance will be fixed to your child’s molars and it includes a metal tube that connects both the upper and lower jaw. By adjusting this tube, your Frisco, TX orthodontist will be capable of controlling the lower jaw’s position in relation to the upper teeth. The typical treatment time with this form of orthodontics is about 12 months, though this varies depending on your child’s needs. 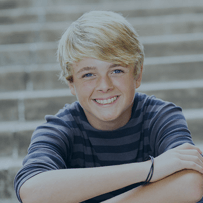 As your trusted Frisco, TX orthodontist, we’re capable of offering multiple different forms of orthodontics that are able to align your bite and improve your jaw function. In addition to our Herbst appliance, we also provide headgear to fix these bad bites. If you’re unsure as to which would be best for your child, here are some of the ways that the Herbst appliance differs from headgear. The biggest difference between the Herbst appliance and headgear is that the Herbst appliance is fastened to your child’s teeth while headgear is removable. While a child has to take care to remember to wear the headgear for between 12 to 16 hours a day (which is problematic if he or she doesn’t enjoy wearing it), there’s no need to remember or keep track of how long your child is wearing a Herbst appliance. While headgear is bulky and made of metal hooks or a face bow in addition to straps or a head cap in order to anchor the headgear, the Herbst appliance provides a more discreet option. It can be visible when your child speaks, but it’s far less noticeable than headgear. When the Herbst appliance is first put on, there may be some muscle tenderness or soreness of the teeth. In addition, because the Herbst appliance is made of metal, there may also be some tissue irritation, especially in the lower gums. As your child gets used to wearing it though, these irritations will subside. Eating soft food is especially helpful when dealing with any muscle soreness and it will be a staple of his or her diet while the Herbst appliance is on; foods that are hard or sticky need to eliminated from your child’s diet because of the damage they can do to the appliance. Contact Your Prosper, Little Elm, and Frisco, TX Orthodontist Today! If you’re looking for orthodontics, such as braces or Invisalign, in or around Prosper, Little Elm, or Frisco, TX, you’ve come to the right place! Feel free to give us a call at (214) 705-6188. Alternatively, you can fill out our online appointment request form. If you have any questions, please don’t hesitate to contact us. We can’t wait to help put your child on the path toward a straighter and healthier smile!